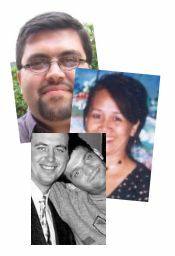 THE INNER LIVES OF MEN AND WOMEN WHO KNEW THEY WOULD BE MURDERED IF THEY STAYED ON A STORY. 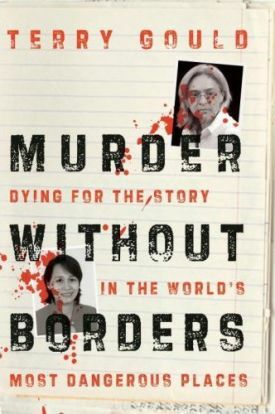 "Murder Without Borders by Terry Gould is a book of love and passion. 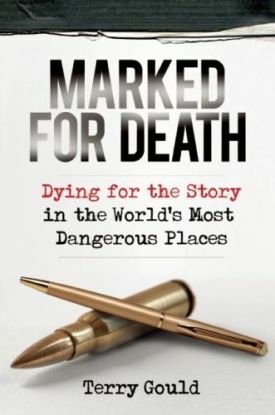 The portraits of slain journalists who reported from the world's most dangerous places are unquestionably tragic, but this book is uplifting and even inspiring. Through his meticulous reporting and his compassionate storytelling, Gould performs a small miracle, a literary resurrection, allowing journalists so cruelly killed to tell their own stories completely and honestly. In an age when journalism is threatened by economic collapse and deep public cynicism, Gould's book reminds us that journalism can be beautiful and meaningful and that its power to combat injustice so great that some journalists around the world are willing to give their lives to tell the truth." Where do journalists find the guts to keep telling the truth in places where truth-telling will get them murdered? Organizations such as the Committee to Protect Journalists and Reporters sans frontières bring us the death toll from around the world, and that number is truly daunting: since 1992 more than 730 journalists have been killed-nearly three-quarters of them targeted and murdered. Over 85 per cent of the fallen have been local journalists trying to unveil violence and corruption in their own back yards. Worse, 95 per cent of the people who ordered their murder remain unpunished. These shocking numbers, however, do not help us to know the journalists who have sacrificed literally everything for the story. They definitely do not answer the question of how these journalists found their courage. And so, for four years, investigative reporter Terry Gould has given himself over to that quest, travelling to the five countries in which it is most dangerous to be a journalist-Iraq, the Philippines, Russia, Colombia and Bangladesh-in order to bring us back unforgettable portraits of seven murdered journalists who carried on despite death threats from terrorists, corrupt politicians, gangsters and paramilitary leaders. In these pages, Gould brings us the lovers, the colleagues, the rivals, the critics and even the accused murderers of these courageous men and women, searching for the moment when each of his protagonists understood that they were willing to die in order to get a story out. He finds intriguing and complex reasons for such bravery. One journalist needed to compensate for a grievous mistake; for others, a traumatic experience persuaded them that the powerful need to be kept from harming the innocent at all costs; some were lit by religious conviction or their loyalty to a hometown; another was the closest person to a saint Gould had ever encountered. Their stories take your breath away in recognition of how selflessly humans can love justice and their fellow citizens; how dogged and resourceful people can be in attempts to thwart injustice; how vital it is to show the defeated and the indifferent, as well as the powerful, that there really are some things worth dying for. As Gould writes, all of his subjects, no matter how fallible or flawed, "went to work each morning with the conviction that the calling of journalism was to defend the defenseless." And so he has honored their memories by "bringing their lives and the stories they worked on to light, telling truth to those who would murder truth-tellers."